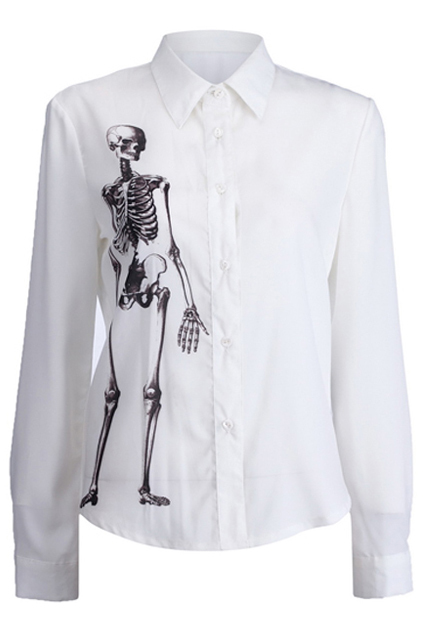 White Buttoned shirt. Features skeleton print on right side. Collar. Buttoned cuffs. 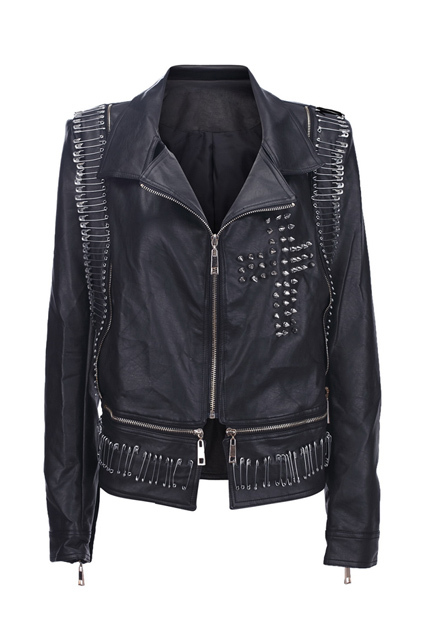 This jacket,has been crafted from faux leather faric, featuring notched lapel, full lenght sleeves with ziped cuffs, multi pin and zip front, riveted Cross to upper chest, lined. 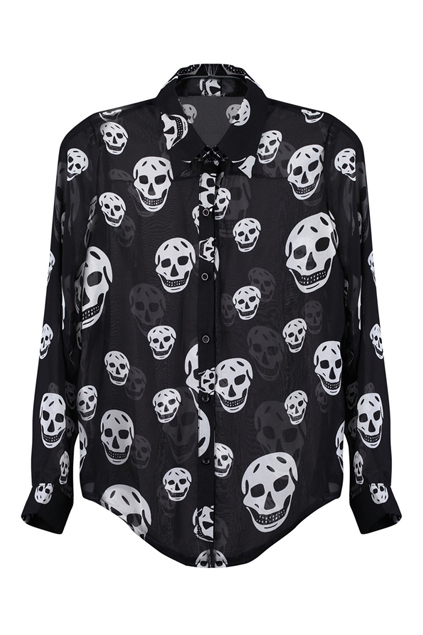 Skull-printed buttoned shirt. Features skulls printed on front and back. Translucent. Long sleeves. Buttoned cuffs and front. 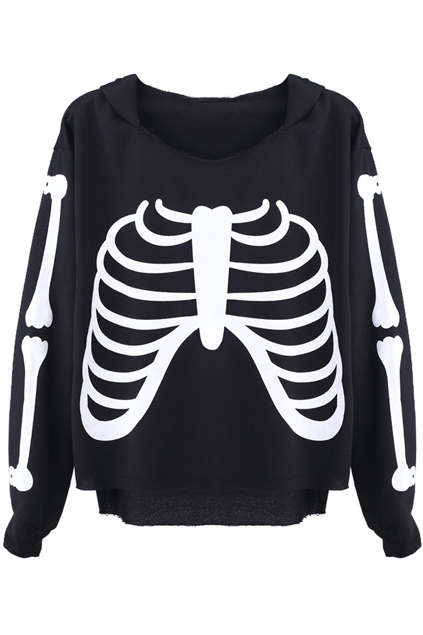 Black hoodie, featuring skeleton print, hood, and long sleeves. 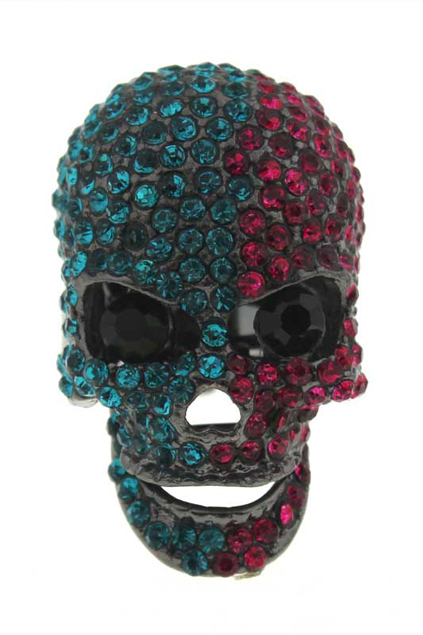 Ring,featuring a skull charm design with diamond,oversized and faceted pearls in eyes,small and faceted pearl embellishment,a slim and an adjustable shank,two colors for your choice finish. 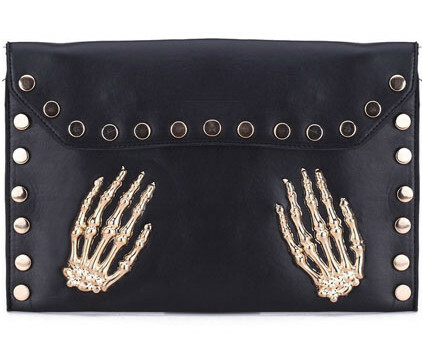 This clutch has been crafted from leather look fabric. The details include: a fold over front, press stud embellishment fastening front and reverse and golden hands ornament fastening front, a detachable curb chain strap and wrist strap, and a zipped interior pocket. 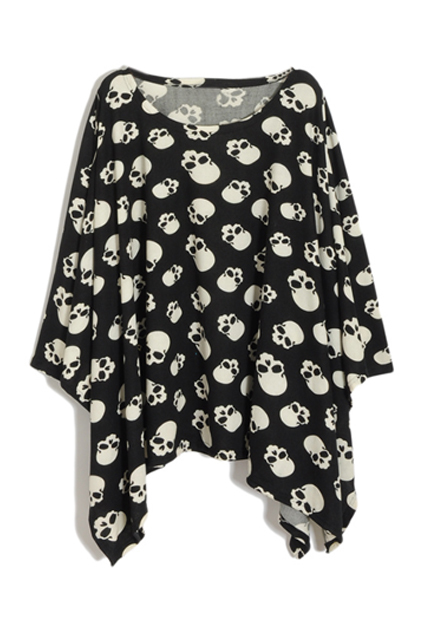 Black sweater,featuring a scoop neckline,big batwing long sleeves styling,white skull heads printed on surface main,wide hem with asymmetric styling,nice stitching finish.White lining and thin one finish. 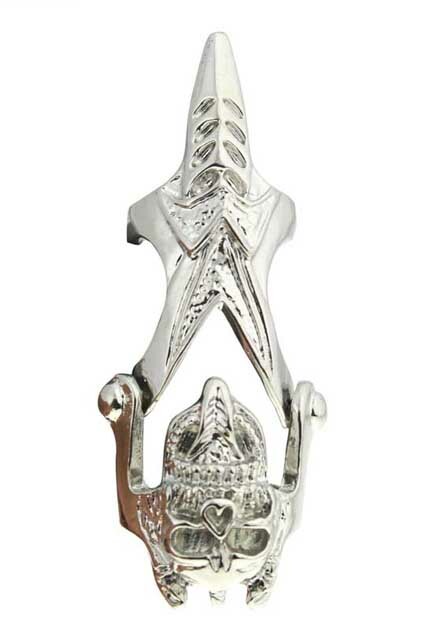 Ring,featuring a double ring shape design,silver color main,a big body bone on surface,a skull head down,double slim bands reverse to the back finish.